If you love Urban Decay…or glitter….or duochrome…or eyeshadow…then you’ve likely heard of the Urban Decay Moondust eyeshadows. Each shade is insanely unique & looks absolutely incredible on the eye. We’ve all been begging for more shades & they answered with the Urban Decay Moondust Palette (review coming soon!) 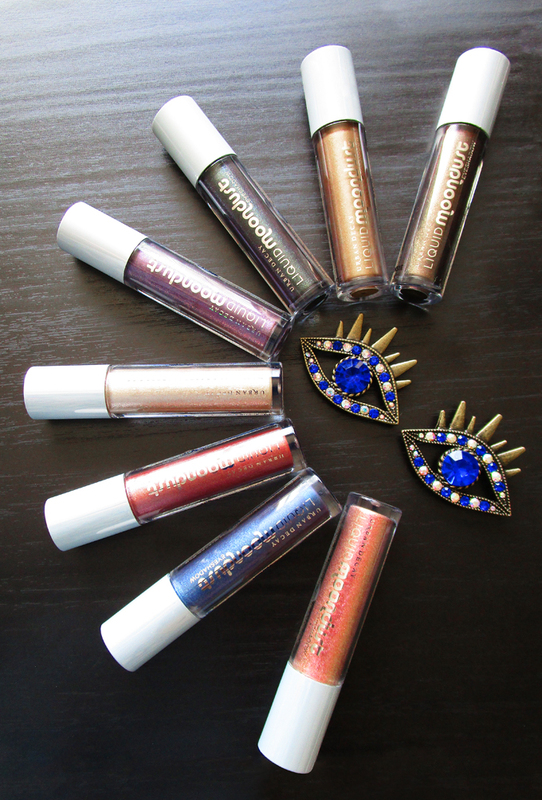 & then doubled down with these liquid shades called the Liquid Moondust Eyeshadows! Keep reading to check out my swatches, review, & a demo of one of my favorite shades! First I want to look at the applicator- what is it exactly? This is a slim brush! Why is that good? You can use it as a liner! Some people are loving it because of that while others are confused because it is a bit more difficult to apply as an eyeshadow. For eyeshadow, I actually recommend dabbing a bit on your synthetic brush & patting in thin layers. This product dries quickly so work fast to blend if necessary! So how do you use these shades? It really depends which one you’re using! I’ve read A LOT of reviews on these after using them myself since they arrived. People are definitely struggling to figure them out. I’m here to help! Below as I describe the shades & texture I’ll try to individually tell you details about how they apply, how I personally prefer wearing them, & any other pertinent details. These won’t be something everyone loves but I think there is a specific audience they appeal to. I happen to be one of them. As you’re reading reviews on other sites I urge you to keep that in mind. From left to right we have Urban Decay Liquid Moondust Eyeshadows in Zodiac, Spacetime, Chem Trail, & Recharged. From left to right we have Urban Decay Liquid Moondust Eyeshadows in Vega, Zap, Solstice, & Magnetic. Let’s talk swatches- these are about 3-4 thin coats each. Is that logical for application? No. It isn’t. Your lids will likely look crepey as heck. But this was the best way to show what each shade looks like individually. I’m also hoping you can tell a little how well each shade does or doesn’t layer. When you see the texture above…I’m hoping you understand a bit better why I say A) don’t use too much, B) I like the majority better as a topper, & C) that each formula is different. The most important thing about these? MOVE YOUR BRUSH AROUND INSIDE THE BOTTLE. I can’t say this enough! It helps mix & helps with the formula upon application as well. Top row left to right we have Urban Decay Liquid Moondust Eyeshadows in Zodiac ( smoky sheer black with blue/green shift sparkle ), Spacetime ( dirty medium bronze with pink, gold, & iridescent fine sparkle ), Chem Trail ( sheer pale champagne gold chunky metallic ), & Recharged ( a very peachy pink based red bronze with lots of pink iridescent shimmer ). & bottom row left to right we have Urban Decay Liquid Moondust Eyeshadows in Vega ( a brightened medium navy with blue & silver shimmer & a very demure purple shift ), Zap ( warm golden bronze with golden shimmer & sparkle ), Solstice ( a very red-based deepened copper with green shimmer & iridescent gold sparkle), & Magnetic ( a deep plum purple with fuchsia, copper, pale blue shimmer ). So which shades can be opaque? I assume that’s what most people are seeking with these. Well…none of them exactly without getting crepe-y. But they can get nearly opaque if you use the shades Zodiac, Spacetime, & Zap. I prefer the rest of the shades as toppers, liners, or extra shadowing. Zodiac is one of my absolute favorites because I can easily add shadow to my outer corner with my fingertip for the perfect eyeshadow meld. Want to know how I like a lot of these shades best? On my lips! Recharged, Solstice, & Zap are especially pretty as a lipstick topper. & they wear quite awhile which is impressive. I think the shade causing the most controversy is Chem Trail. People are angry. It can look seriously weird unless you figure out how to use it. 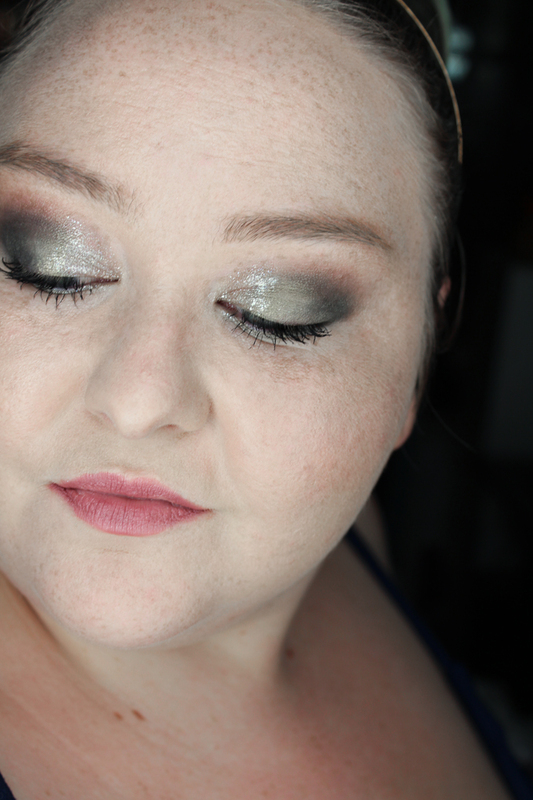 For me, this chunky glitter shade is best used as a topper on my inner corner. This is by far the most difficult shade so I wanted to show it in action so you can see how it looks. Up close, Urban Decay Liquid Moondust Eyeshadow in Chem Trail looks chunky. This will immediately turn off a lot of people. Consider, however, that you’re looking at my eye super close up! In person, I got 10 compliments on my makeup from random strangers. I don’t hate that! 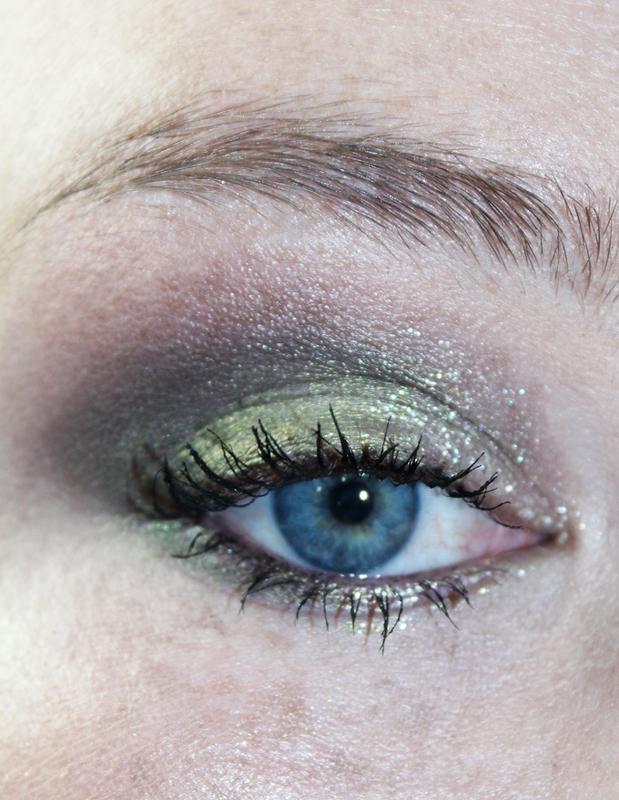 Here is the same exact eye look with my eye open & not so focused on the glitter topper. I applied this with a small, detailed eyeshadow brush then blended very lightly with my fingertip. I also layered it little by little to get the look I was hoping for. I actually think it turned out really pretty! You can purchase the Urban Decay Liquid Moondust Eyeshadows from the Urban Decay website or on the Sephora website here. Do you think you’ll pick up any of these liquid eyeshadows? Which colors appear to you? Are you interested in seeing these in some upcoming tutorials either on the eyes or lips?